It couldn’t be easier. Simply click on the clearly marked links in the emails you receive from us. This will take you to a page on our website where your pre-written and pre-addressed emails to your MPs are waiting for review. You then just need to click send. Sounds like a great service, but I don’t know whether I can afford it? If you work out how much it would cost you in terms of time to keep abreast of the latest political issues, research these, maintain a list of the addresses of your current Members of Parliament and write to them, you will find that The Golden Sceptre offers you very good value. And because just laws are a necessary part of allowing us freedom to meet to worship, to evangelise and to effectively care for the poor and needy, this very small expense is worth giving a high priority to in our budgets. Is it ethical for someone else to draft emails to my members of parliament? Yes. 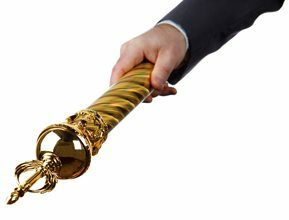 The Golden Sceptre never emails your MPs directly. We simply provide you with the suggested text. You may alter this text before sending or decide not to send it at all. So you remain in complete control of your correspondence with your Members of Parliament and anything you do send is entirely from you. Does it show a lack of sincerity to pay someone else to write on these issues rather than take the time to write myself? No. Time is money. Whether you use your time or your money to perform this task, you are clearly expressing your genuine concern for the issues raised. Will my Member of Parliament be able to tell that I am a Golden Sceptre subscriber? No, not unless he is a serious computer sleuth! The emails you send to your Members of Parliament through our site show only your name and email as the ‘from’ address. They look exactly the same as emails you type yourself and send from your own account. Does every MP have an email address? Practically all MPs have email addresses. Those who don’t have contact forms on their websites and the Golden Sceptre has software to allow our subscribers to send messages to these website forms using exactly the same subscriber interface as for sending emails. Should Christians be involved in lobbying our government representatives? Yes. Our civil governments are instituted by God, and should be for our good (Rom 13). Christians are enjoined to pray and intercede for our political leaders so that we may lead a peaceful and quiet life, godly and dignified in every way (1 Tim 2). As well as prayer, and unlike almost any other time in history, all Christians in Australia and other democracies can now make our requests directly to our leaders. Let us not waste this great freedom and opportunity. What sort of issues do you write on? We write on issues of general concern to Christians of all denominations whether Protestant, Catholic or Orthodox. A good indication of these issues can be obtained from The Australian Christian Lobby, Family Voice Australia or Salt Shakers. Do you just write to members of parliament? Most of our correspondence is to MPs because in a democracy the legislature is vested with the ultimate secular political authority. Even though Australia is a consitutional monarchy, the Sovereign's power is very rarely exercised in practice. Sometimes, however, we may write to other organizations such as Universities, government departments, media outlets etc. to express approval or disapproval of actions taken. What if the email written for me doesn’t match my normal writing style? Each email is written in a friendly, informed, concise and professional manner which is the most effective way to influence your Member of Parliament. The effectiveness of your lobbying will not be affected if it does not precisely match your normal writing style. If you are concerned about this, however, you are welcome to contact us or just edit the text of your email yourself before sending it. Can I live anywhere in Australia to be a Golden Sceptre subscriber? Yes. The Golden Sceptre offers our service to all Australians, and writes on the issues of greatest concern, whether at the State or Federal level. Hence subscribers living in different States or Territories may receive emails on different issues as their local political situation demands. Is my personal information and communication kept private? Yes. We will not share any of your personal information with third parties. We are also careful to secure our databases from unauthorised access. Furthermore, the links we provide to subscribers to send their emails contain a unique key and so cannot be accessed by anyone else. We accept Visa card, MasterCard, Paypal, Direct Bank Transfer or Cheques; and we use PayPal to securely process our on-line credit or debit card transactions. Can a husband and wife subscribe together for the price of one subscription? Yes, just enter both of your names when signing up. The emails we send you for this subscription will include both of your names. What else can I do to use my democratic voice in the most effective way? As well as writing letters or emails; visiting your Members of Parliament is a very effective way to build up a relationship and let your MP know how you want to be represented in Parliament.